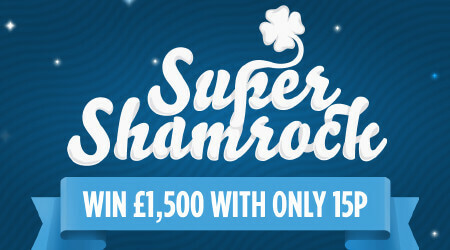 Get the luck of the Irish and win up to €1,500 for only €0.15. Play Super Shamrock now! Return to player rated at 63,6%.